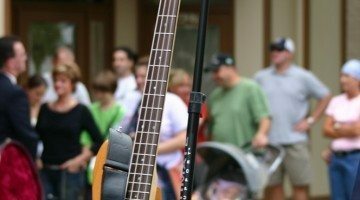 The Ultimate Franklin / Nashville TN Guide - People Who Live In Nashville & Franklin TN Share Their Favorite Things To Do In The Nashville Area - The Best Sightseeing And Nashville Tourist Attractions You Must Go To The Next Time You Visit Nashville On Vacation. Plus, Advice For Moving To Nashville, The Best Neighborhoods In Nashville, And What's It's Really Like Living In Nashville - Real people. Real experiences. Real helpful. 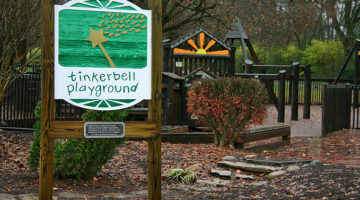 One of the best city parks in Franklin TN for kids is Pinkerton Park. It’s located on Highway 96, just past the railroad tracks on the east side of downtown Franklin. See why we think it’s the best for kids, plus photos and fun things to do there. Not into Country music? Here are the best live music venues in Nashville, Knoxville, and Memphis that cater to non-Country music fans. We went to Mangia Nashville and have never enjoyed great Italian food and fun times quite like this before. See why Mangia Nashville is one of the locals’ best-kept secrets and a place NOT to be missed! Pancake Pantry Nashville: Add It To Your Bucket List! The Pancake Pantry in Nashville was on my Bucket List for awhile. Now, I’ve been there several times. See why there’s always a line at the Pancake Pantry Nashville – which is one of the Top 3 Pancake Restaurants in America! By the way, there’s a Pancake Pantry in Gatlinburg now too. Mike Wolfe from the History Channel’s American Pickers TV show has an antique store in downtown Nashville, TN. It’s called Antique Archaeology Nashville. (American Pickers Iowa is located in LaClaire, Iowa.) 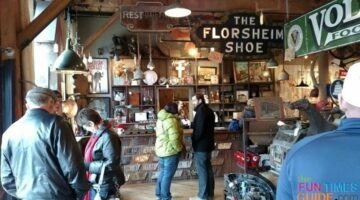 Here’s what the Antique Archeology Nashville store is like. See which neighborhoods have the nicest neighbors & the best Halloween candy. The locals’ favorite spots in Nashville to go trick-or-treating on Halloween. Two of the suburbs south of Nashville (Franklin & Brentwood) are getting crowded. That’s why we moved to nearby Spring Hill just 12 miles south of Franklin. I frequently ride my bike on a route that takes me past Tim McGraw and Faith Hill’s house in Franklin, TN. Actually, there are 6 houses on the property, 4 of which are livable. Here are photos I’ve taken of Tim and Faith’s house through the years.